YouTube has grown to be more than just a video sharing platform. YouTube is the hybrid of what many marketing platforms as fire to be. Search engine - with the humongous number of videos available, YouTube essentially becomes a search engine where people search for exclusive video content. Some of the searches might be direct and some of them might be generic. Anything said, YouTube is the second largest search engine as it sees the highest number of search queries after Google. Video platform - needless to say, YouTube is the largest video sharing platform on the internet. It would take about three continuous months of watching to finish watching all the videos that have been uploaded on YouTube in the last minute. With the production of videos becoming easier with smartphones and increasing internet access ability, YouTube is only growing in terms of strength! Social network - while it might not be obvious, the options to like a video, comment on a video and to share a video makes YouTube a social media platform as well. Advertising platform - a person's interest in one particular video could be an evident indicator of their interest in something. This video viewing pattern serves to segregate the users belonging to a specific segment and to target ads at them. YouTube is essentially a part of the Google AdWords PPC ecosystem. However, there are also instances when YouTube also functions as a standalone advertising platform that is used by global Giants when it comes to brand building and visibility. What makes videos more preferred over any other marketing medium is that leaders can tell stories. With YouTube making videos more democratic and universally accessible, the name of companies should be about telling stories. Claritaz brings in its expertise in creating video concepts for your brand that rides on the emotion of storytelling rather than showcasing your expertise. This will ensure that your videos strike a chord with the prospective customer rather than talking about your own achievements. 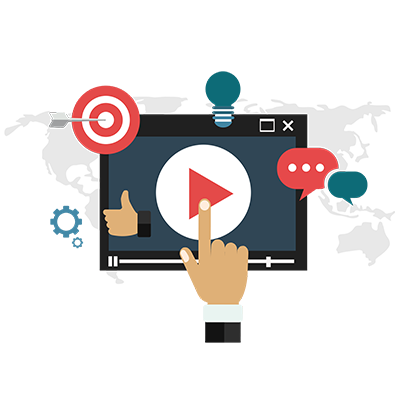 In addition to this, our AdWords experts bring you the best results for advertising on YouTube by Ada targeting specific videos or channels or even geographies and age groups to maximize the reach of your video not only in terms of width but also in terms of depth. YouTube offers a lot of advertising options that you can exploit for the goodness of your business. There are ads that you can see that appear beside the video viewing mental on YouTube. These ads might not essentially be related to the video but with careful targeting, you can ensure that the video content complements your ad. This will ensure that your ad gets the maximum leverage. You can also use this space of advertising for remarketing purposes. These ads appear on the bottom 20% of the video viewing window. This app might be either simple text ads or image ads. These and although might be perceived as an interference with the video viewing experience if used properly can complement that experience. We take care to target specific videos and create impressive and immersive and experiences with these ads. These are the kind of ADS on YouTube that play the four or during the video being played on YouTube. These ads have the option of being skipped in 5 seconds. The Secret to great advertising in this segment is to tell the maximum amount of story possible or at least, create a brand for yourself in these 5 seconds. 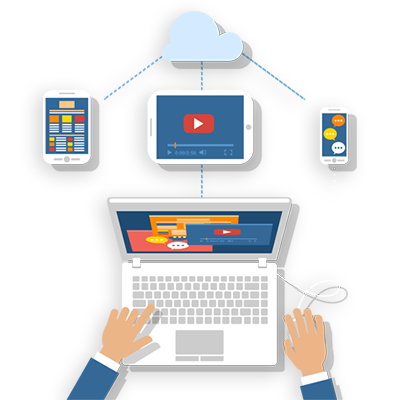 Our team take care to carefully target these ads and also collaborate in creating concepts for these videos. These ads might be a little on the expensive side but they ensure that the intended story is completely told. We not only help create and manage these ads but also advice on when to go for these non-skippable ads as opposed to the skippable ads. With so much to offer and statistical advantage, YouTube is surely lucrative and a promising advertising platform. The only thing that will limit the leverage on YouTube is your creativity in videos and the efficiency in targeting. It is precisely for these two purposes that the offer are expecting!